Okay, that’s only kind of true. Basically, I’m just making a legitimate attempt to start being more aware of the impact of my $7 bag of frozen chicken breasts. Any true vegetarian would not be impressed by efforts, but I’m trying! Giving up meat even one day a week can make a substantial environmental impact. According to a Food & Agriculture Organization of the United Nations report titled “Livestock’s Long Shadow,” the meat industry is the cause for 40% more greenhouse gas emissions than all the world’s transportation systems combined. There’s also a good EconTalk podcast by Tyler Cowen on the issue as well if you’re interested in learning more. I’m not 100% by any means. I’m trying to choose the vegetarian option at restaurants some of the time. It’s easy at places like Panera where I get the Greek Salad and Mediterranean Veggie sandwich every time anyway. It’s not so easy at the Irish place I go to every Wednesday that tempts me with their mini corn dogs and corned beef! I’ve also stopped cooking meat at home, which has been a hilly adventure. Some things are easy like just skipping the meat in stir fry or just using rice and beans in tacos, but we’ve also tried using mock meat products. 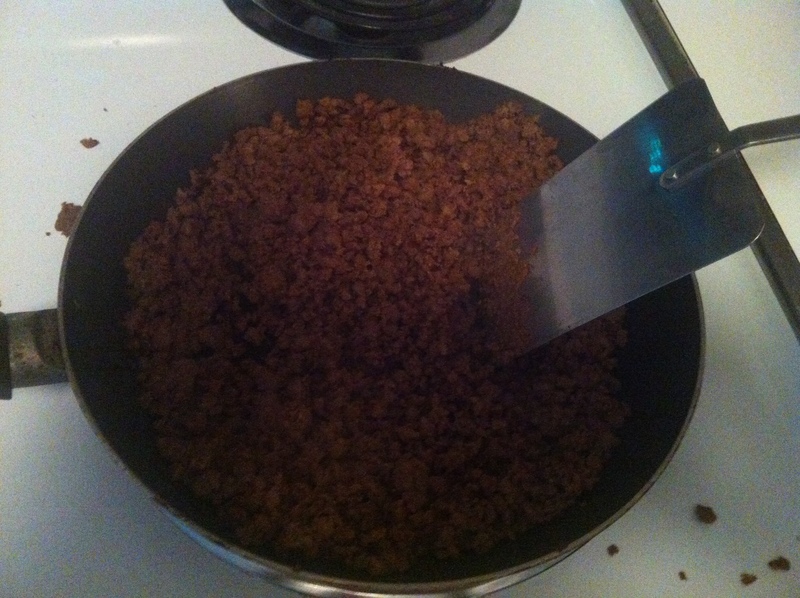 I’ve tried about three different kinds of a veggie knock-off of ground beef. 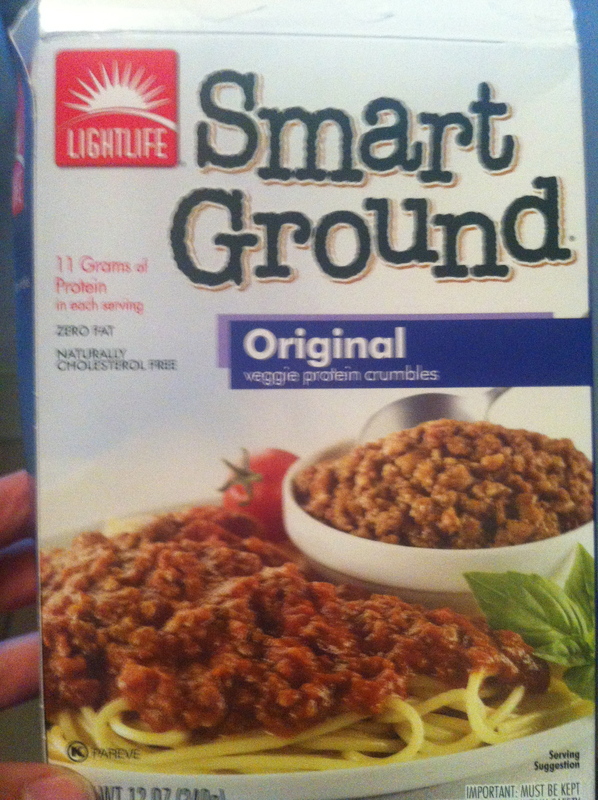 The last one I tried, Lightlife Smart Ground Original, was probably my favorite. 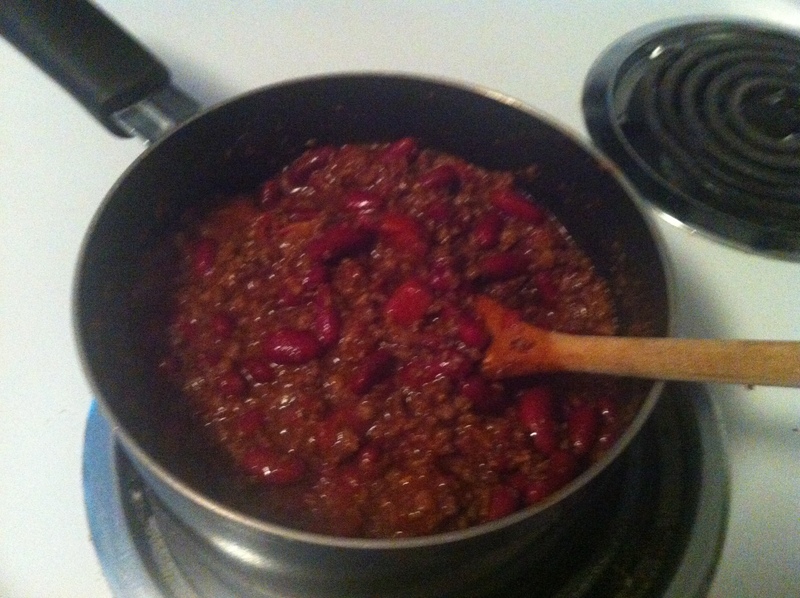 We made chili with it tonight and it was actually really good! So, since I’ve been MIA for so long, I thought I’d share this simple, vegetarian recipe as a teaser to the more delicious and extravagant veggie meals that I hope to share with you in the future! If you have any veggie-centric recipes or cooking blogs, I’d love to check it out! Please leave a comment with the info! This is basically your standard chili recipe, but I thought I’d share so you know how easy it is to just tag out the beef! Spray a pan with cooking spray, and heat and crumble the Smart Ground until hot. Add the seasoning, tomatoes and kidney beans. Stir. Simmer about minutes. Top with hot sauce, sour cream and cheese. 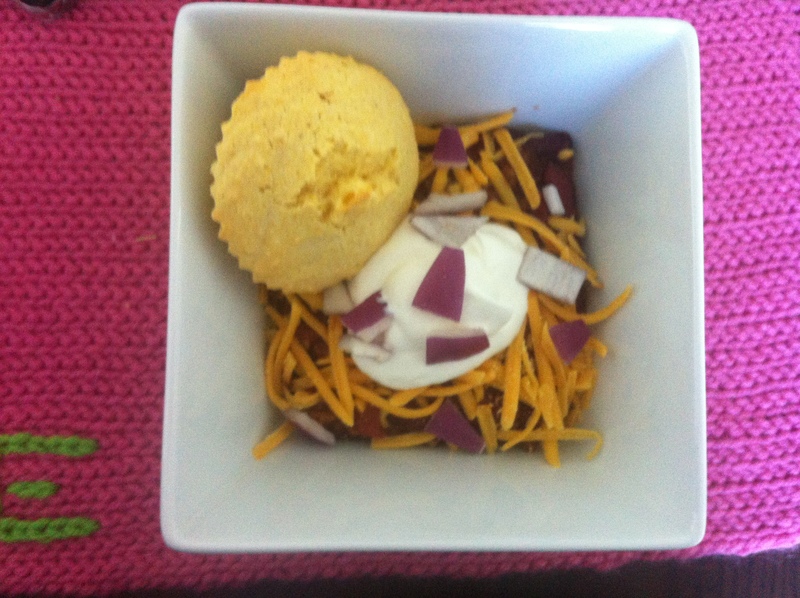 Here’s my veggie chili! Looks just like the real stuff, right? Tastes like it too! I ended up topping mine off with some vegan cheese, too. 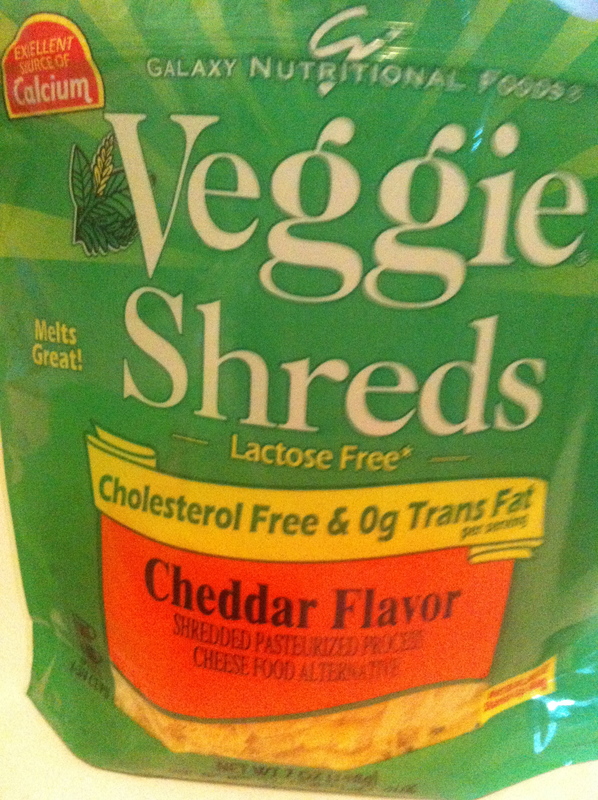 I’m by no means anywhere close to a vegan, but my BF and I saw these Cheddar Flavor Veggie Shreds and thought we’d give them a shot. I was pretty impressed! Hi, Friends!! I’m so sorry I’ve been MIA lately!! I have had so many excited opportunities lately that have been a blast, but so very time consuming!! I hope that this message finds you well, and I pinky promise to be back ASAP! Check out this HRH Collection necklace that I can’t wait to buy! How cute is that? !